I have to say that I’m a bit of a Buffalo Wing snob. I grew up near Buffalo and had access to some pretty darn good wings. People in Western NY are particular about their wings. They CAN’T be boneless, they have to use Frank’s Red Hot sauce, and they’re served with blue cheese NOT ranch. I’m now a full-day flight to Western NY and I haven’t found any wings out here on the West Coast to compete with the real deal. Here in Portland, it seems to be more about the Vietnamese Chicken Wings, which Pok Pok made famous. And, while, they’re also fantastic, they’re just not quite the same for me…. So… what do I do? 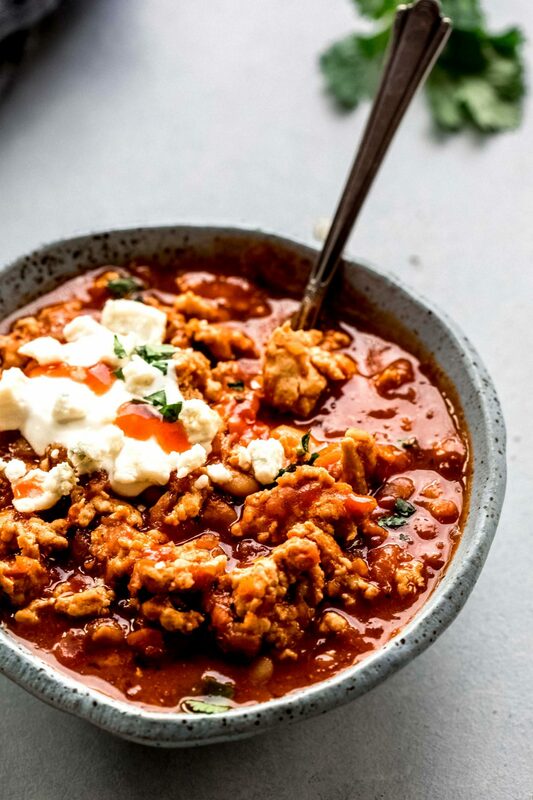 Whip up a batch of Buffalo Chicken Chili. It’s still got the great flavor of the Frank’s, you can taste the crispy celery, AND it’s got beer in it! 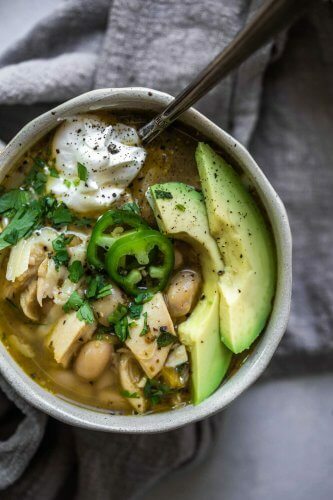 Plus, the addition of refried beans gives it a great, thick and hearty texture that’ll warm you right up on chilly Fall days. For me, it’s comfort food at its finest. I like to make a big batch on the weekend, and then enjoy it all week for lunch. 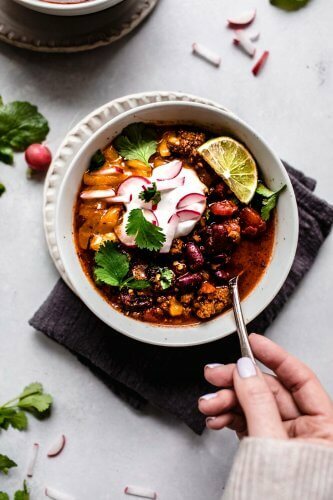 Why is it that chili seems to taste even better when it’s leftover? Are you a lover of buffalo wings like me? If so, do you consider yourself a purist – Eating only the bone-in variety, or do you go for boneless, and perhaps even some ranch dressing on the side? 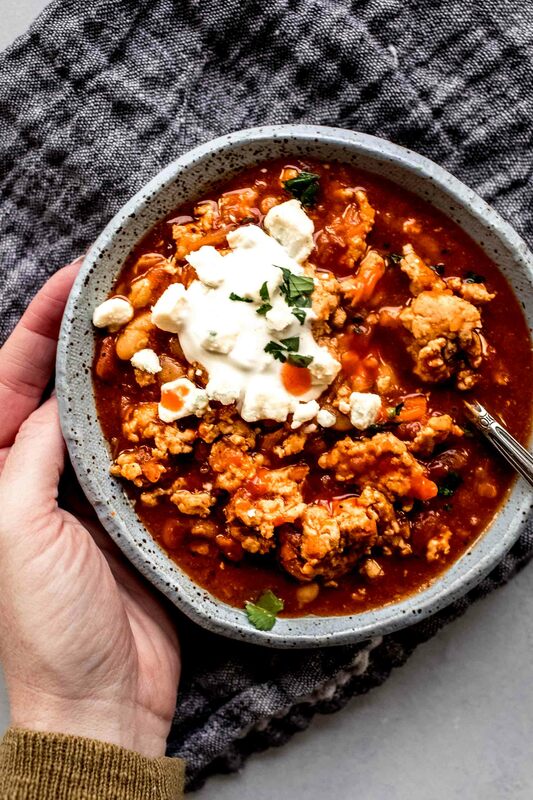 Would you dig into a bowl of this Buffalo Chicken Chili? 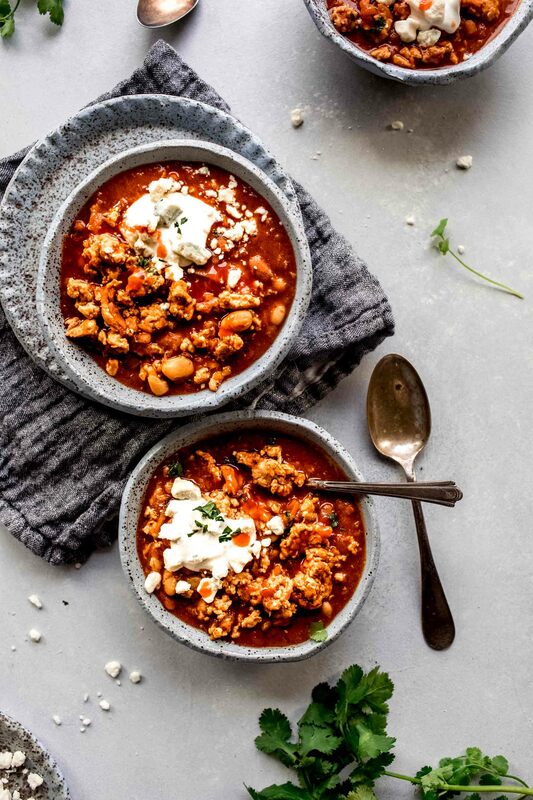 This Buffalo Chicken Chili features all the flavors of your favorite finger food in a spicy chili. It's a healthy, hearty way to enjoy buffalo wings in a new way! Heat olive oil in a large stock pan or dutch oven over medium-high heat. Brown the ground chicken, breaking up the meat into small pieces until cooked through, about 8 to 10 minutes. Set aside and keep warm. In the same (now empty) pan add onion, carrot, celery, garlic, chili powder, cumin, paprika, and a pinch of salt and pepper, and cook stirring until the vegetables soften, about 5 to 6 minutes. Add white beans, refried beans, chicken broth, beer, hot sauce and chicken, bring to a boil and simmer covered on medium-low about 25 to 30 minutes, stirring occasionally. Top with shredded cheese, greek yogurt/sour cream, green onions, as desired. This post was originally published in October 2014. It was updated in March 2019 with new pictures. The original recipe remains the same. Enjoy! 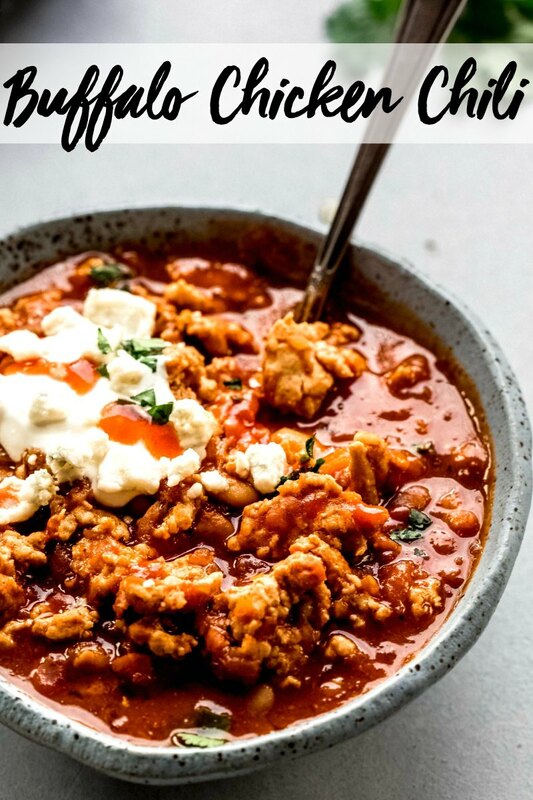 If you loved this Buffalo Chicken Chili recipe I would appreciate it so much if you would give this recipe a star review! Also, be sure to snap a picture of your finished bowl and share it with me on Instagram using the hashtag #platingsandpairings and tagging me @platingsandpairings. Beer and chili go great together! I chose a Kolsch to pair with my bowl, and added some to the recipe as well. This also pairs well with a light lager with a squeeze of lime. This sounds incredible! I love Franks 🙂 And I don’t even like wings. I used to order carrots and celery with a side of wing sauce when my friends ordered wings– because I could eat the sauce with a spoon! I love chilis, and am always making new ones. Such a great, easy meal– and the leftovers are great to have around. Right there with you Michelle! 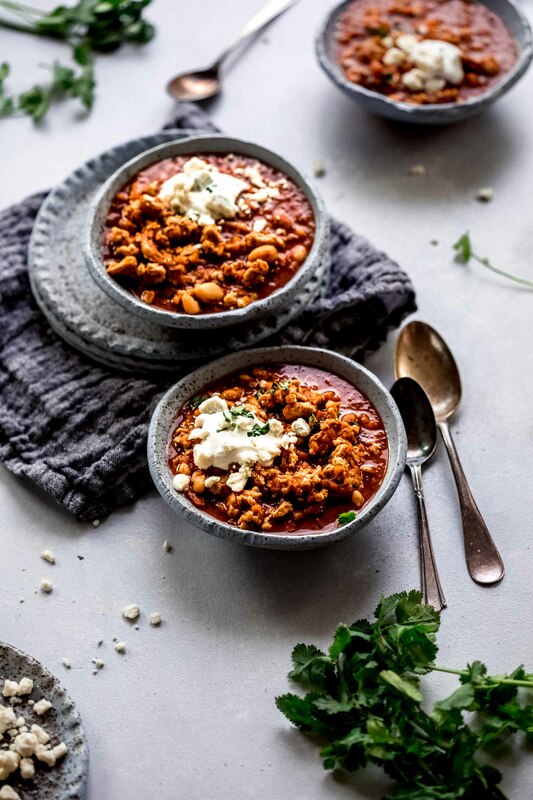 Chili is one of my favorite leftover meals – It just keeps getting better! Thanks for the recipe…but please …if you grew up in Buffalo…that is not upstate New York…it’s Western New York. Can’t wait to try! What a great idea! I bet this’d be a huge crowd pleaser at a football game. Thanks Catherine – I think this is the perfect football food! Your recipe looks and sounds delicious! 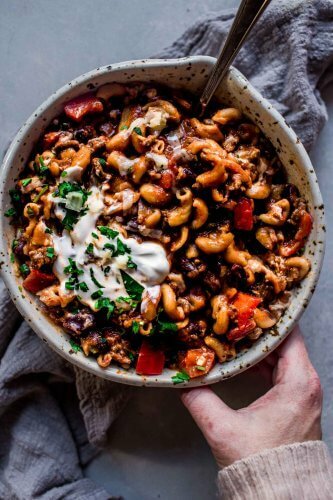 Chili is definitely a fall staple and does get better with time. Look forward to giving it a try. 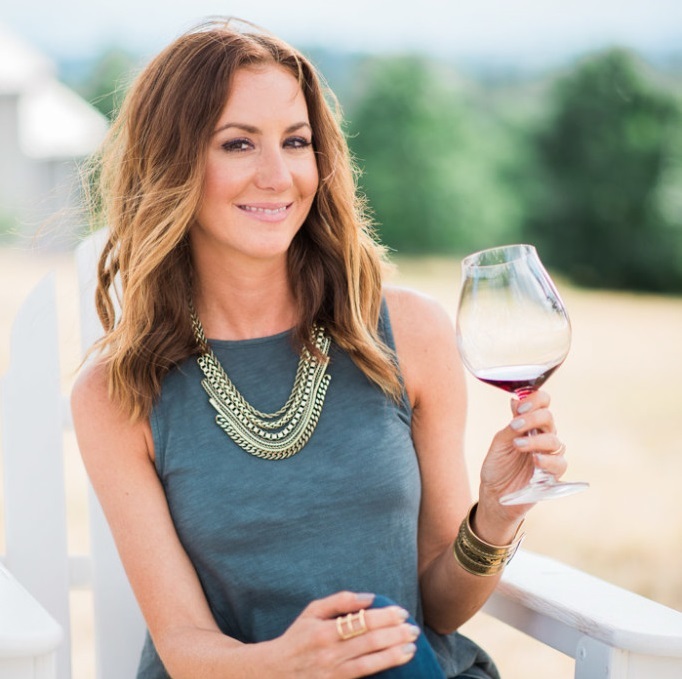 Thank you Tami – Enjoy! I absolutely love buffalo chicken, so as soon as I saw this, I knew I had to visit! This is definitely going on the menu here soon! Pinning! And – I prefer wings on the bone and blue cheese, but as long as the sauce is good, I’m happy. We are a house divided: my sweetheart is all about the bone-in, all over you face wings, while I can stand neither sauce on my face nor bone picking, so I’m all for boneless wings. However, we would both love this chili. Can’t wait to try it out! I hope you both enjoy Renee!!! Heehee! I can’t wait to try this. I love it when people are able to combine 2 delicious foods to make something new and creative. I don’t know why I never thought to doing this. Thanks! I hope you enjoy Marjorie!!! Loved this recipe. my guys like it hotter- I followed the directions to the letter. So I left the hot sauce on the side for a kick. but really great. will do this again! thanks so much for the post. So happy to hear that you enjoyed it Vickie! Sounds great but I’m confused..you say to brown chicken and set aside. Then in same pan to do the next steps…why set aside…do I add vegetables, etc into the same pan as the chicken? Hi Sue – Yes. You’ll add the cooked chicken back in Step 3. Hope that helps! I tried it and it was fantastic! 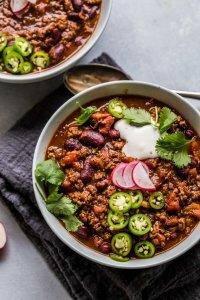 Our new favorite chili ! I’m so glad you liked it Leisa!